Do you suffer from frequent headaches or migraines? You might have TMJ. TMJ is a disorder of the temporomandibular joint, which is the joint that connects the lower jaw to the skull. When the joint functions incorrectly, it produces a wide range of symptoms. While the most common symptoms involve pain, tenderness and swelling of the joint, it can also lead to headaches and migraines. Due to the diversity of symptoms and the impact TMJ has on your quality of life, you need TMJ therapy in Bullard. As a dentist in Bullard, Dr. Morgan offers various treatments for TMJ. With the right treatment, you’ll improve the function of the jaw while stopping painful symptoms. TMJ can be caused by a number of factors, such as arthritis, trauma, and a poor bite. No matter the cause, the jaw becomes painful and difficult to move. In some cases, the jaw may even lock into an open or closed position. You will often hear clicking or popping when moving the jaw. Overtime, symptoms of the condition can progress to include headaches, earaches, neck pain, and other painful conditions. Often, those with TMJ also grind their teeth. In some cases, people with TMJ subconsciously grind their teeth due to tension, which can also cause headaches and jaw pain. As a dentist in Bullard, we offer various treatment options. TruDenta—TruDenta involves a customized treatment program that uses electrical stimulation, light therapy, ultrasound therapy, muscle manipulation, exercises, and much more. This noninvasive treatment uses computerized measurements to determine how the alignment of your teeth relate to your pain, as well as how the muscles move to create a personalized treatment plan. 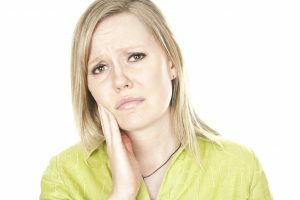 Occlusal Adjustments—When TMJ is caused from a poor bite, an occlusal adjustment may be needed to reshape the biting surfaces in your mouth to evenly distribute pressure on your teeth. Correcting the bite may require certain restorative procedures for additional support. Occlusal Splits—An occlusal splint is an oral appliance that realigns the jaw to create the ideal bite. You’ll wear the oral appliance until your bite is naturally repositioned, at which point, the appliance will only be needed at night. Disclusion Time Reduction—This form of therapy helps to relieve the friction between the back teeth and the muscles. By reducing friction, the facial muscles can relax to reduce facial pain. Dr. Morgan is specially trained to provide TMJ therapy as a dentist in Bullard. If you’re dealing with jaw pain and headaches, it’s time to stop the pain. Call Dr. Morgan at (903) 825-1112 to schedule a consultation.